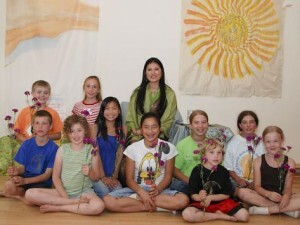 For Children’s Day/Winter Solstice, the Sakyong and Sakyong Wangmo offer a song they wrote for the young children of Shambhala. Download Listen to the tune. Wonderful tune and lyrics. I have always liked a simple Tibetan or Chinese melody. Now….for the life of me…I could not quite get the lyrics to match up to the tune. If it were possible to get some children singing the piece as an MP3 file I would love it. I have an MP3 (not good quality) but it works if you need it. I would love a copy of that MP3! I also had a devil of a time trying to get lyrics and music to match.